One of my favorite family traditions from my childhood occurred each year early in the Christmas season. (Now I would call it Advent, but in the evangelical church we didn’t call it Advent. I guess we weren’t much on waiting.) 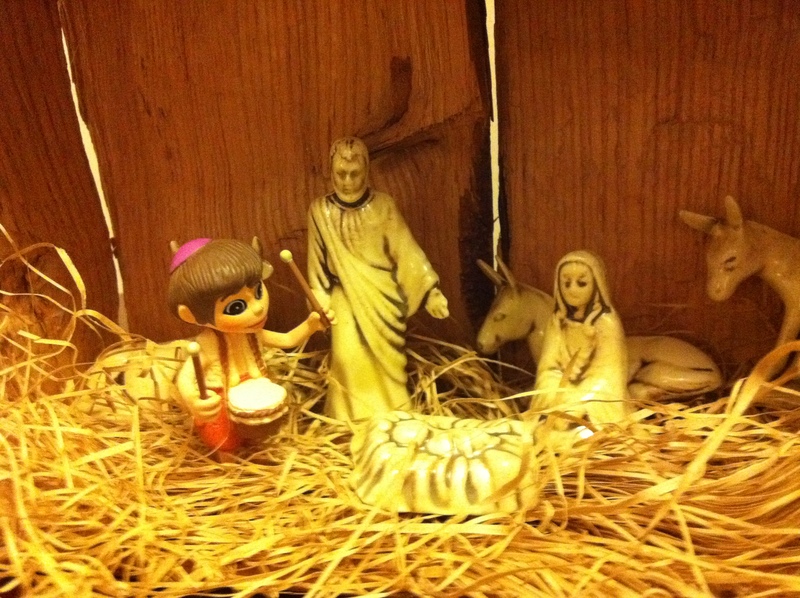 Setting up the nativity scene was always the most important part of our decorating. But it was more than decorating; it was faith formation. My family would gather together, and as the adults read the Christmas story from the Bible, the kids would put all the nativity figurines into place. Each year we had to ask which way was East, so that we could be authentic. And, after breaking a wing from falling off the top, the angel then got placed on a nail driven into the top of the stable. But as a child, one thing always bothered me. I placed everybody in the stable very carefully; but the next day, everybody had been moved. The cow and donkey were now beside the stable, and the wise men were kneeling before the manger but on the top of the Ethan Allen table, not in the stable. It didn’t take me long to figure out that my mom moved everything after we went to bed. She wanted it to look nice. I wanted there to be room for everybody. I didn’t want anyone left out in the cold. Not even the cow. When I left home, I continued the family tradition with my hand-me-down nativity set. I often invited close friends to join me, so now I have memories of a wide variety of people helping me tell the story and move all the figurines into place . . . people who have come and gone, as friends tend to do, but people who were important to me at the time. They are beautiful memories, even if some of them are painful. There is always room for both. Then there was the first year that Jackie and I were married. When we continued the tradition as our new family, Jackie asked, “Where’s the little drummer boy?” I laughed. “The little drummer boy is not in the Christmas story,” I said, probably condescendingly. She insisted that the little drummer boy was a very important part of the story, and he should be included in every nativity scene. I teased her about it until she finally explained to me that the little drummer boy was important to her because she had grown up poor, and she knew what it was like to not have anything to give. The next year she got a drummer boy for Christmas, and he is part of our nativity set even though he doesn’t match. And he is always inside the stable. And then I cried . . . because I don’t know if he will be with us for another Christmas, or if he will become one more person who has come and gone. Either way, he will always have a place in our memories, and in the stable. Nobody gets left out in the cold.